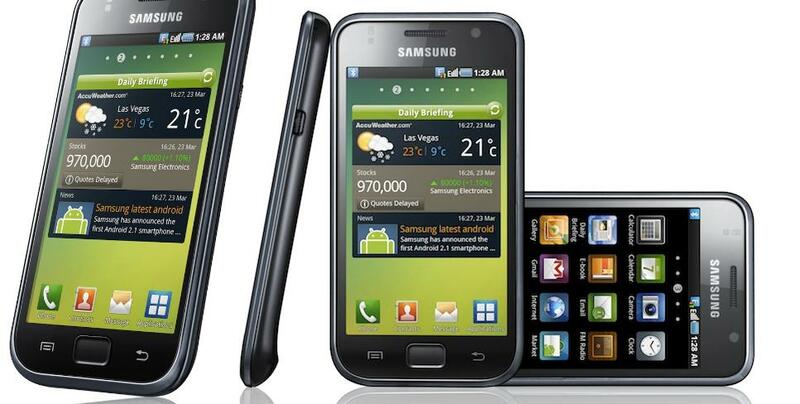 Call me a laggard, but last week I bought my first Android OS smartphone – Samsung Galaxy S (GT-I9000). It’s been months of light research and seeking peer opinions, struggling among the various phone formats – Blackberry Touch 9800, iPhone 4, LG Optimus, Nokia C7 were candidates of choice. It came to a point of such uncertainty that I would rather stick to my Nokia E72, no doubt a fantastic phone by itself. SMS messaging is speedy, battery life lasts 3 days, build quality is excellent. However, when it comes to online accessibility, the E72 fails to shine. Web browsers load very slowly, the Gravity connection is inconsistent, the multi-media apps like camera, photo, video apps just couldn’t keep up with my demands, the firmware does not support widgets (like the new E5). I was almost certain to get the Dell Streak, though the 5″ size did doubt me much. Then it all became clear when I saw my friend using a HTC Desire. One conversation led to another (Go for higher processor speed, he said. It makes a difference in performance), and soon I was comparing the Desire with Galaxy S, finding that the latter is in most features better. Then, taking the plus points, I compared with Dell Streak and found Streak to be less stellar. At the same time, I found that Desire HD was officially launched in Singapore over the weekend, so again I did a comparison. Still, the Desire HD did not do better than Galaxy S.
And so, I decided to go for Galaxy S.
But I like it how I have control over the device. Similar to all Android phones, the Galaxy S has 2 views: the home screen view and the applications view. The latter is exactly like the old iPhone interface: just pages and pages of installed apps. The home screen is the one that all phone makers customise, where you can move your icons around, add live-feed widgets, create folders, and that helps tremendously in the usability. On top of that, there are shortcuts, or widgets that I can control specific functions directly, like on/off data connection, wifi connection, auto-sync function. Comparing iPhone: which is better? The iPhone is a phone that gives priority to the app that runs on the screen. As such, the experience is much more pleasant. To the normal user who desires a fuss-free consistent computing experience without worrying about too many customised (and maybe confusing) options, the iPhone will seem to work better. The large library of apps also mean that there are a lot more apps that make the iPhone very app-ealing. The iPhone delivers the app experience that no other mobile device can match, but if you are not a very app-y person, you probably get bored of the iOS interface. And if you realise, many iOS apps are there to overcome iPhone limitations, whereas Android apps are there to maximise the capabilities of the OS. iOS or Android, with iPad on one arm and the Galaxy S on another palm, I already own the best of mobile communication devices with me, allowing me to engage with the right device that works best in the numerous situations that life throws to me.